Team Sp00ky and IPW are ready to broadcast Evo 2013 this weekend. See the streaming schedule inside. UPDATE #1: Nintendo has decided not to grant Evo permission to stream Super Smash Bros. Melee (for more on that click here). The image below has been updated with the two games replacing Melee. 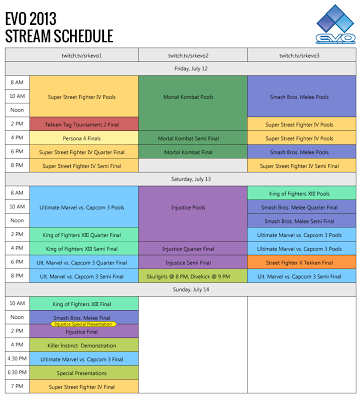 UPDATE #2: Following backlash from fans, Nintendo is now allowing Super Smash Bros. Melee to be streamed at Evo 2013. We have changed the image below back to its original schedule. Evo 2013 begins this Friday (July 12). On that day, Team Sp00ky and IPW will start their broadcasts. While the tournament schedule was announced last month, we now have a streaming schedule as well as times for each of the grand finals. The streams will have a $12 premium ticket. While everyone can watch Evo 2013 for free, the ticket will give viewers an ad-free stream, exclusive emoticons, 720p+ quality and access to the chat. The money will be used for the NYU Game Center partnership, which will grant one student a scholarship. Below is the stream schedule (via SRK). NOTE: All times are PST. Click on the image to see a larger picture. FightVG will post a reminder of the event on Thursday night (July 11). 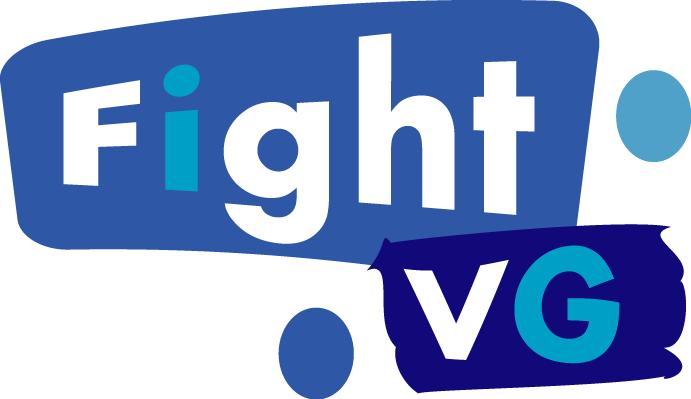 We will include the streams including any last minute secondary airings. For now, we have posted all three main streams on the homepage. For the streams, click here, here and here.